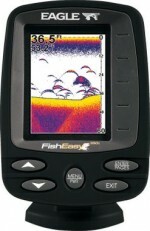 Eagle Fish Mark 640c. All-new, amazing 256-color, sunlight-viewable 640Vx480H pixel, high-res TFT display! Affordable fullsize color choice of the pros! 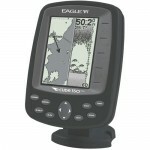 * Actual depth capabilities depend on transducer configuration and installation, bottom composition and water conditions. 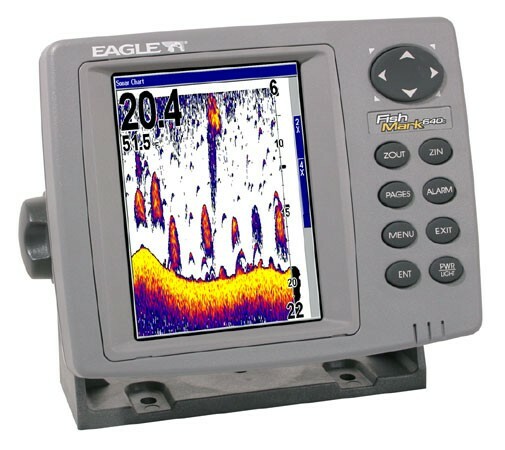 All sonar units typically read deeper in fresh water than salt water.